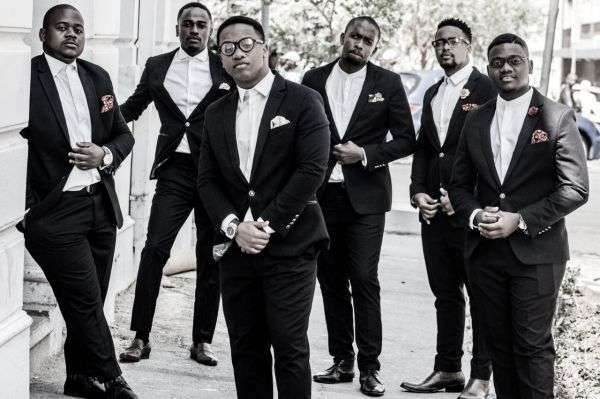 Just 6 – Conference Corporate Jazz Band are an Afro-Pop/Soul, Jazz and Gospel Contemporary Acapella male ensemble from South Africa which was founded in 2011. A unique combination of voices that comes from a diverse walk of life, they have come together to birth to what they call ‘Afrocal-play’ (African Vocal Play), a distinct mixture of African indigenous sounds as well as smooth harmonies. As a multi-award winning group, Just 6 has left a footprint in both national and international platforms. They have toured Southern Africa, Swaziland and Zimbabwe as well as parts of Europe such as Germany and Switzerland. The group has won two national and two international awards. The group’s inspirational heartfelt music has been shared through two EP’s (‘Stimela’ and ‘Take Me Back’) and one award-winning album (‘Kuzolunga’). Just 6 consists of Mthandazo Hospas (First Tenor), Luyanda Makapela (First Tenor), Fezile Mavuso (Second Tenor), Rashaka Mbevhana (Second Tenor), Nkosie Hospas (Baritone) and Molefe Moeketsi (Bass). Their awards include the Contemporary Acapella Recording Awards (CASA) – Best Religious Album 2014, Contemporary Acapella Recording Awards (CASA) Best Religious Song 2014, SABC Crown Gospel Awards, Best Acapella Group 2014 and INGOMA Awards, Best Acapella Album, 2015.